When someone loves you, then everything seems to be perfect and even the person. Nothing better than a gift of flower can express the feelings you hold for that special person. 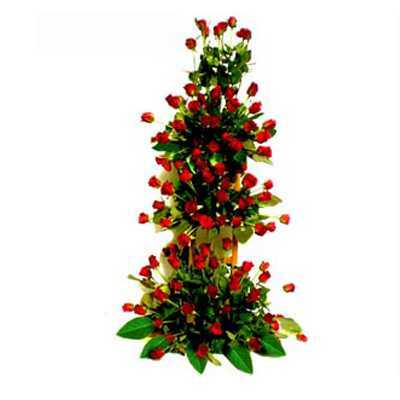 This multi-layered bouquet of 100 red roses wrapped beautifully in a 3 feet arrangement with green leaves is the perfect gift for the perfect person of your life.